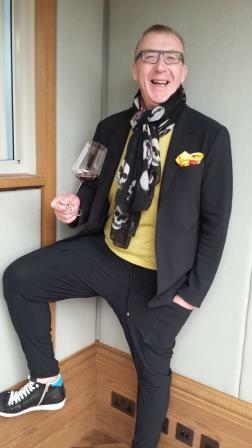 Olivier Dauga, the internationally renowned wine consultant and self styled “faiseur du vin”, is a colourful personality in more ways than one. He was in London recently to show wines from two of his clients – Kolonist Winery in Ukraine and Domaines Rollan de By in Bordeaux. Kolonist winery in Odessa,is a recent project with the vineyard dating from 2004 (post-revolution), with Olivier’s involvement starting in 2008. It was a rare chance to taste wines from Ukraine, though ironically I had judged Russian and Ukrainian wines at IWSC just a few days before, so was not surprised that Kolonist’s Bisser bottle fermented Chardonnay was nicely done with pretty, ripe fruit. The estate’s reds, a Cabernet Merlot blend, were also impressive. 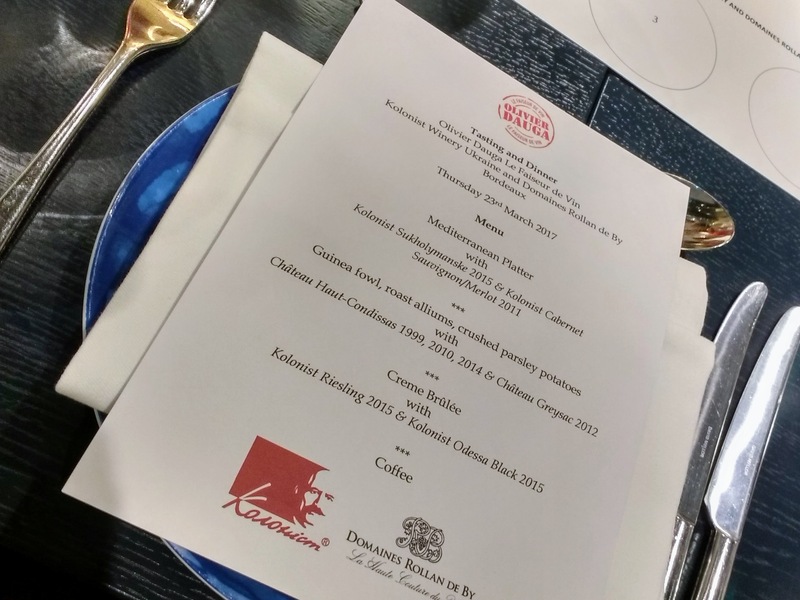 The Ukrainian wines created most of the talking points on the evening, but they also served as a counterpoint to the classic Bordeaux wines of Rollan de By, which showed particularly well. 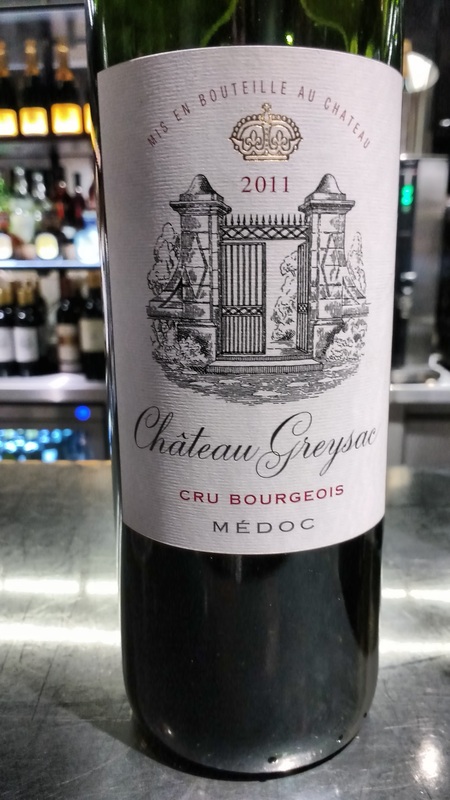 Château Greysac 2011 impressed with its Médoc “bite” – a lovely combination of ripeness of fruit and refreshment. Available from Justerini & Brooks for £15-20. Over dinner, paired with both Kolonist and Rollan de By’s wines, it was the Bordeaux part of the partnership that shone for me. Château Haut Condissas 1999 was perfumed and leafy, still full of life – showing the way for the firmer structured 2010 and 2014. Olivier clearly relishes a challenge and his wine work has taken him far from his winemaking origins in Bordeaux, but the class and refinement of the Domaines Rollan de By wines showed through on the evidence of this tasting.